Druchii.net - View topic - Forum reorganization. Today 12/12/12 came the end of the world... as you knew it. Indeed, there has been a forum rearrangement. Simultaneously, there is a change for fluffier names. 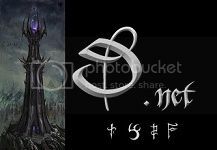 The forum categories listed above are given names which recall Naggaroth. Similarly, the administrative levels of D.net (admins, mods,...) are given titles linked to our Cold Kingdom. I'll let you discover that in the post Your Introduction to Druchii.net which will be sent to all future newcomers to D.net. It is locked, so if you have any comment, post it below. I hope that you will find this new arrangement easy to navigate in, and more importantly, that you will enjoy the spirit. For this change, I had particularly in mind the new D.netters, who have to spend some time navigating around before they know where to find what they want. Hopefully, they will find themselves at home quickly, and will adhere to the specific Druchii spirit that we all share. Last edited by Calisson on Sun Dec 16, 2012 8:00 pm, edited 5 times in total. ... and other old stuff. Last edited by Calisson on Thu Dec 13, 2012 7:48 am, edited 3 times in total. Wow, detailed stuff - all looks very nice and fluffy. I just want to post here that Calisson has put a lot of work into fixing things up and cleaning out the cobwebs despite myself and others getting in the way of his cleaning (mainly me). He took it all in stride with professionalism and efficiency. It's quite a lot of work with what he has done and I want to officially and publicly recognize the excellent work that it is. Thanks Calisson, you are a warrior poet! Last edited by Underway on Wed Dec 12, 2012 11:53 pm, edited 1 time in total. Nice work. Great atmosphere is a huge plus to any site. I just want to post here that Calisson has put a lot of work into fixing things up and cleaning out the cobwebs despite myself and others getting in the way of his cleaning (mainly me). Actually, the result you all can see has been achieved not "despite" Underway and others, but "thanks to" them. Only the introduction was done by me alone. I'd like to give public credit to Underway, who has shared with me since the beginning the urge to reorganize the website. More importantly, he has provided many of the fluffy titles that you now enjoy for forum categories and usergroups. Rork, Dyvim Tvar, Drainial and Loki participated heavily to the work as well. What has been achieved so far must be claimed by the six of us together. And it is not over yet: meanwhile, Daeron works with Rork for the technical upgrade of the website. Thanks for all your hard work! looks great! Nice one Calisson. If I can throw in another idea, "Land of the Witch King" seems a bit empty compared to the other categories. How about a separate forum in there for army diaries, painting logs etc (as opposed to painting and modelling for general discussion). I consider the Album to be part of the "Land of the Witch King", as reflected in the introduction. A PLOG forum could be a good idea. One may wonder, though: is there a demand for that? More importantly, is there an animator/moderator willing to sort out and animate the very active P&M category (including the Album if possible)? Since you left the Monthly Painting & Modelling Competition, P&M has been lacking a true animator. I'm not sure a separate D.R.A.I.C.H. forum would add that much for browsers. I sort of agree with Kinslayer, having a dedicated DRAICH section would I think be really handy for new and existing users - it's a really useful part of the website and encapsulates a lot of the general consensus and debates that have gone on previously regarding the best unit set ups, tactics, anti-tacticas etc. It also might encourage submissions - the status of being on a dedicated part of the forum rather than a sticky in the tactics section would be a bit more prestigous and so appealing for us lazy folk to get off our behinds (well, I suppose actually sit down on our behinds in this case) and write for it. I think a section for army diaries and PLOGs would be a nice addition, there are many posts of that type in the P&M already but it would just break things up a bit, leaving the P&M discussion for people asking for tips, or showing off the odd model rather than an ongoing project. Maybe there is not enough need for it though, and as you say who would manage the forum? I dedicate all my forum time to the RPG now and I don't see myself being able to participate in a big way elsewhere nowadays. That's basically what I was thinking, maybe we could have a vote on it? Creating new forums can be a good thing if it helps to sort out different categories. However, it must not become too complex to the user. Also, the distinction between the forums must be clear. I'd like to discuss it with the Mods. OK, results of discussions show no real need to split further the forums. Despite some good points raised, splitting forums would probably not make the life easier for most D.netters, and it would lower the average activity of forums. The urgency now is more a technical one, i.e. to move to phpBB3. Once done, we will very likely wish to develop some aspects of the Hobby, especially in P&M.